Sam Hodson is a partner in the Indianapolis office of Taft Stettinius & Hollister. He practices in the Business & Finance and Insolvency & Restructuring practice groups. Sam has been recognized by peer review organizations including Indiana Super Lawyer since 2010 in bankruptcy and creditors’ rights, Best Lawyers in America since 2012 in banking and finance, insolvency and reorganization, bankruptcy and creditors’ rights and tax controversy and Martindale Hubble since 2002. 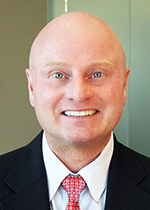 Best Lawyers recognized him as the Indianapolis market Lawyer of the Year in 2016 for Tax Litigation and Controversy, in 2017 for Bankruptcy Litigation and in 2018 for Banking and Finance. He is certified in business bankruptcy by the American Board of Certification and serves as a director on the ABC board. His education includes: Bachelor of Arts, Political Science, Indiana University; Master of Business Administration, Finance, Indiana University Kelly School of Business; and Doctor of Jurisprudence, Indiana University, McKinney School of Law. Sam serves on the boards of: The Midwest Clinic; Music for All; Big Brothers Big Sisters of Central Indiana; The Indiana Association for Corporate Renewal and the Indiana University Paralegal ABA Certification Advisory Committee.